The board held that the doctors did not administer anti-platelet treatment as per protocol. TOI reports about the incident about a 51-year-old Physiotherapist who was brought to the hospital on 12th May 2017 with complaints of chest pain around 1.35 am. An ECG was performed on her which showed abnormalities. Doctors informed her family that an Angiography shall be performed on her around 9 am in the morning. However, during the night her condition kept on deteriorating and around 5 am in the morning, she was out on life support. The patient was finally declared dead around 9.48 am in the morning. Accusing the doctors of negligence and in particular wasting the golden hour, her husband filed a complaint against the doctors and Fortis hospital with the police. A medical board was set up to initiate a probe and look into the allegations. The medical board, in its report, held the chief cardiologist at the hospital Dr SS Murthy and the resident doctor Dr V Naga Raju prima facie responsible for “delay in proper treatment”. In particular, the board held that the doctors did not administer anti-platelet treatment as per protocol. It is reported that later an angiography was performed on the patient that revealed 100% blockage in her left anterior descending artery. The board held Dr Raju, the emergency duty doctor guilty on account of ignoring the report of the patient’s cardiac enzymes that had apparently prescribed medicines to prevent a heart attack. TOI reports that during the probe the duty doctor admitted that he did not administer anti-platelets. “We are informed that an FIR has been lodged in connection with Seema Ghai’s death. We assure (the authorities concerned) of complete assistance and cooperation. We are saddened by the loss and our sympathies go out to the family,” Fortis said in a statement. Such hospitals n doctors responsible for ignoring timely treatment must b punished for murder. The system of advance payment before starting treatment must end. The condition of patient must not be ignored. 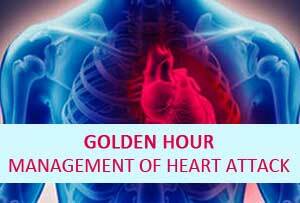 Protocol in the first golden hour supports the administration of Streptokinase in a case pertaining to or having indications as CAD [CORONARY SYNDROME ] , STEMI, CAD[Coronary spasm ] , or thromboembolic occlusion of coronaries or Pulmonary Embolism but in a case where angiography shows 100 percent blocked of left main and LAD then the situation is different . Even administration of streptokinase would not help . Therefore giving anti platelet agents by the resident in this specific case would have not helped at all . This was a fit case for emergency CABG and preferably on Extracorporeal circulation with a heart in still . Therefore after having a through study of the case it does not seam to be a negligent approach to the patient as the answer to the problem was only grafting of stenosed coronaries but for that patient needs to be stabilized before . Dr Murty is a good cardiologist . There is no flaw in this case . Presence of the senior cardiologist would have averted this mishap. I had a similar experience with fortis hospital cardiologist. My relative was admitted with acute chest pain and she was admitted on an emergency basis in an ICU midnight. She was taken care by a junior most resident only upon orders by the senior consultant over phone. Consultant advised she will need an angiography and proceed the next morning. We expected her to be seen be her primary consultant cardiolologist who was on call.but he never turned up till the next day afternoon. We had to discharge her against medical advice and seek another cardiologist opinion. By grace of God and the doctor she is healthy today. Hello sir..what is juniour most resident in cardiology ? How many years of learning medicine will get a person to be juniour most cardiology resident ?? Can u please tell me..and is everyone a senior cardiologist without going thru a so called phase of \”juniour most cardiologist \” ?? The need for check lists is underlined here.